Best and latest coverage on International Aviation Training, where to get it and how to finance it. The latest Airline, Corporate, and Air Charter employment opportunities FAQ and most common Pilot's interview questions - and the most frequently made interview mistakes. Capt Shekhar is a Professional Pilot with more than eight years of experience of Flying on fourteen different types of Aircrafts in ten different countries with an accident free Flying record. Shekhar is good in Flying, Training as well as in conducting ground class for Pilots. 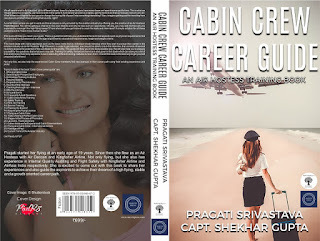 The author started his Flying career from Skycabs [Colombo] and worked for many Airlines Training companies from different parts of the world. He trained more than 350 Pilots who are Flying worldwide. He is a member of Aircraft Owners & Pilots Association [USA], Royal Society of Aeronautics (UK), Delhi Flying Club, Aeronautical Society of India, MP Flying Club Indore and Aeronautical Research Society. Before editing this book,Shekhar personally visited some of thetop 200 aviation academies from more than fifteen different countries.